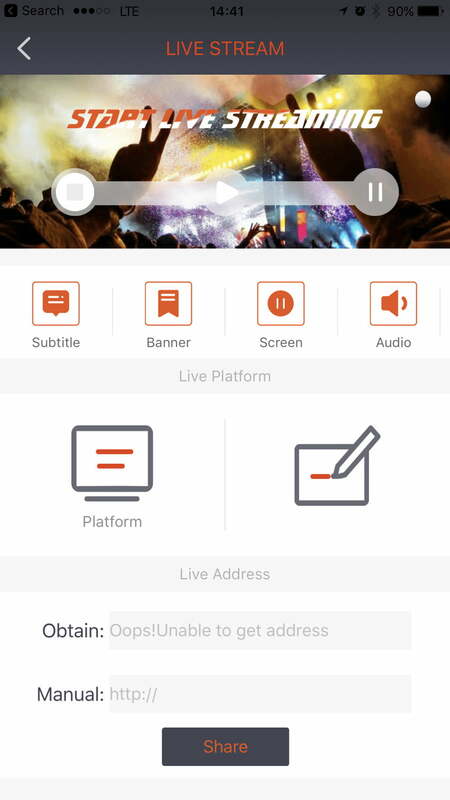 There’s room for improvement, but the Freecast could revolutionize live-streaming for the masses. Things may change before the final version, but what we saw showed promise. Live-streaming has seen the most growth with media companies (go figure), brands, and celebrities. Recently, Facebook allowed Pages (i.e., brand accounts) to stream from a computer using connected cameras, but for most of us, we’re stuck using the cameras built into our phones. While some specialty cameras, like the Giroptic iO and new Samsung Gear 360, can stream straight to Facebook and YouTube, the average user hasn’t had a way to stream from their DSLR, camcorder, or action camera. Freecast wants to change this. The startup took to Kickstarter to fund a trio of new products that can virtually turn any camera into a wireless, live-streaming machine. After a successful crowdfunding campaign, which raised almost $60,000, Freecast’s plans seem well on their way to materializing into real products that will find their way to retail shelves. We had the opportunity to test out a preproduction version of the midrange Professional model, which will retail for $500. While many things may change before the final version, what we saw definitely showed promise. 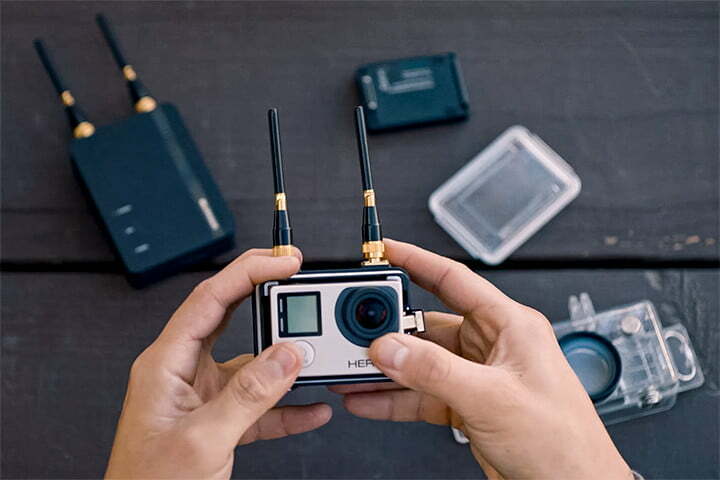 The Freecast Professional that we tested is designed to work expressly with GoPro Hero3 or Hero4 models (the higher-end Freecast Universal will work with the Hero5). 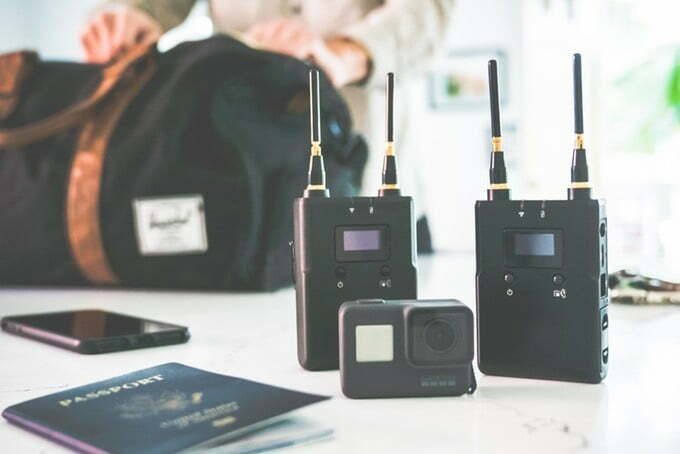 It consists of two components: a transmitter that attaches directly to the GoPro in a bespoke case and a wireless receiver that connects to your phone via direct Wi-Fi link. 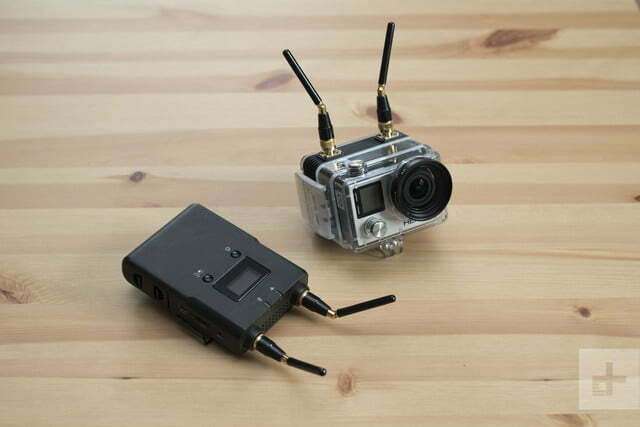 The transmitter is conveniently powered by a standard GoPro Battery BacPac. 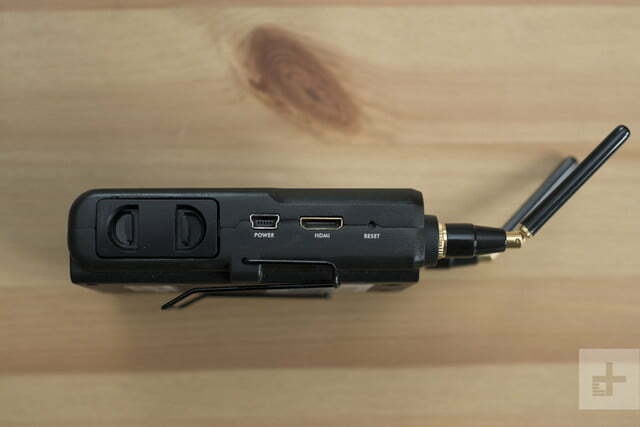 It takes the HDMI signal from the GoPro and sends it out over the air via a pair of rabbit ear antennas where it is then picked up by the receiver’s own rabbit ears and passed on again to your phone, from where it is finally streamed to YouTube or Facebook through the Freecast app (Android and iOS). This sounds like a complicated, involved process, and it probably is from an engineering perspective. From the user’s standpoint, however, it really isn’t that difficult. 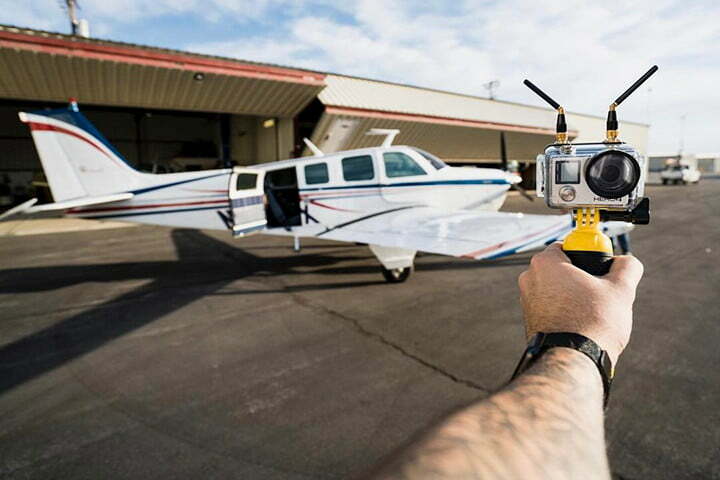 Plug in the GoPro, power on the transmitter and receiver, open the app, and you’re good to go. The most complicated step is entering the Wi-Fi password to connect your phone to the receiver, and even that you only need to do once. The transmitter and receiver will automatically pair with each other. While Freecast advertises a working range of up to 500 meters (approximately 1,640 feet) between transmitter and receiver, based on our experience, we would say this is only possible in ideal conditions. Indoors, the 5.6-gigahertz signal succumbs to the same limitations as your home Wi-Fi. Walk around a couple of corners, and the signal degrades. Outdoors with a clear line of sight, we would expect the range to be much better, which is where the Professional model is most likely to be used. 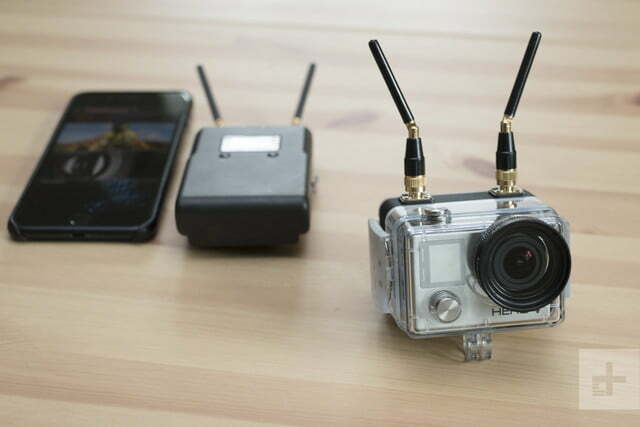 Furthermore, many GoPro users may keep the transmitter, receiver, and their phone on them at all times, so working distance won’t be an issue. Although, in this case, there is potential for a more elegant solution. Social media companies can build GoPro live-streaming support directly into their apps, as Twitter did with Periscope last year. 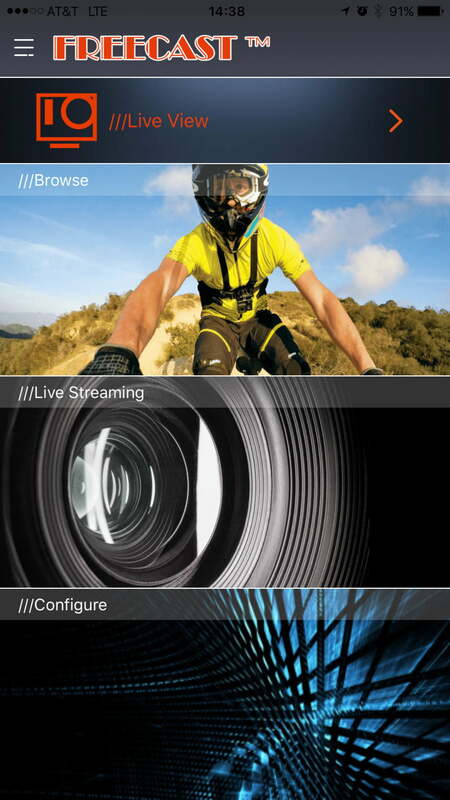 And presumably, GoPro could even put live-streaming features into its own app if it wanted to (it also has the HeroCast, but this is intended for professional broadcasters). This could one day limit the Freecast’s usefulness to just those times when you need a larger working distance between camera and phone. Regardless, the bigger issue may simply be cell service. Before you get excited about live-streaming your next mountain bike excursion or half-pipe ride, you might want to check for coverage. Without a strong signal for your phone, you won’t be live-streaming anything. Even indoors with access to Wi-Fi, your phone will still rely on cellular data – remember, its Wi-Fi is being used to connect to the Freecast receiver. While we only got our hands on the GoPro-centric Professional model, it is the top-of-the-line, $600 Universal model that has us most excited. This version uses the same receiver, but the transmitter can be connected to any HDMI camera. While not all cameras offer a clean HDMI-out signal, many do – including several popular DSLR and mirrorless models. 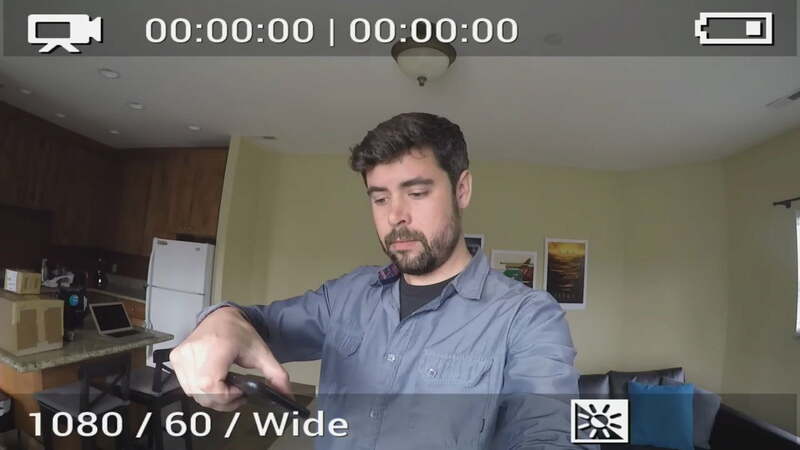 If you already use something like a Sony A6300 for vlogging, this means you’ll now be able to live-stream from the same camera, giving your live videos a similar look to your non-live content. 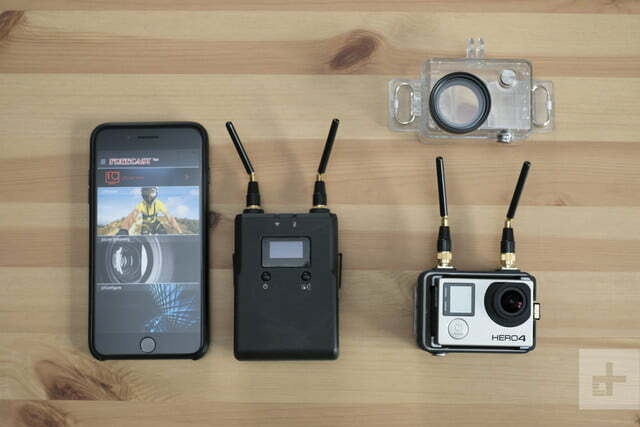 Plug in the GoPro, power on the transmitter and receiver, open the app, and you’re good to go. This live-broadcast setup was possible before the Freecast, but it wasn’t simple or cost-effective for most users. The Freecast makes things easy with its wireless connection and app-based interface. Unfortunately, it’s not the perfect solution for turning your home into a live-streaming studio, again due to the reliance on cellular data. For those of us who live in areas of poor coverage or simply can’t afford unlimited data plans, this presents a problem. We spoke with CEO DJay Brawner who acknowledged the limitation, and mentioned that Freecast may look into creating a solution for direct, Wi-Fi-based live-streaming, but the company remains focused on its current three products for now. We hope it can find a solution to the Wi-Fi problem in the future, as that would definitely make the Freecast more valuable to vloggers and YouTubers. Beyond live-streaming, the Freecast Universal will enable wireless monitoring for filmmakers. The receiver features an HDMI-out port for connecting it straight to a TV or monitor, while the transmitter can, again, be connected to any camera with HDMI-out – including professional cinema cameras. This has a variety of uses, from allowing producers or clients to follow the production without crowding the set, to letting directors monitor live footage from a remote camera, such as one set up in a car or mounted on a crane, where it otherwise wouldn’t be possible. In our experience, the Freecast worked flawlessly for monitoring when the receiver was connected to an HDTV. For whatever reason, the signal cut in and out when we tried it on an Atomos Shogun field monitor. This could have been due to a settings mismatch between the receiver and the monitor, and again, we were working with preproduction hardware here. If the error was with the Freecast, hopefully it will be resolved before the final product release. First and foremost, it will let you live-stream either to YouTube or Facebook. 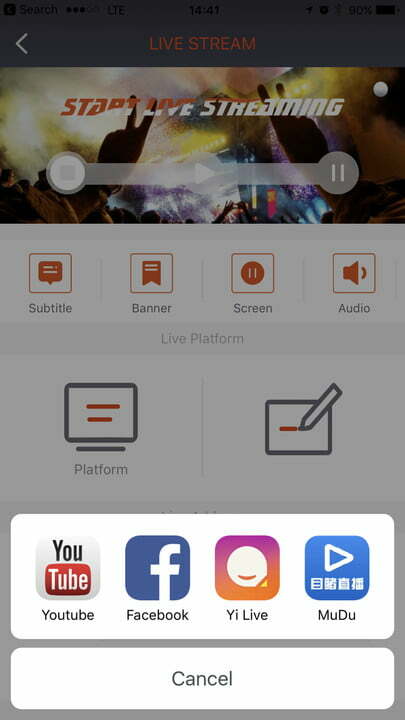 We had to enter our full YouTube streaming URL and access key to get it to work, but the final version will let users simply log in to their accounts for one-button live-streaming. We can confirm that live-streaming does indeed work, and going live from a GoPro was pretty neat. In our test location, cell service was an unfortunate two bars, so the stream quality wasn’t spectacular, but it did work consistently. 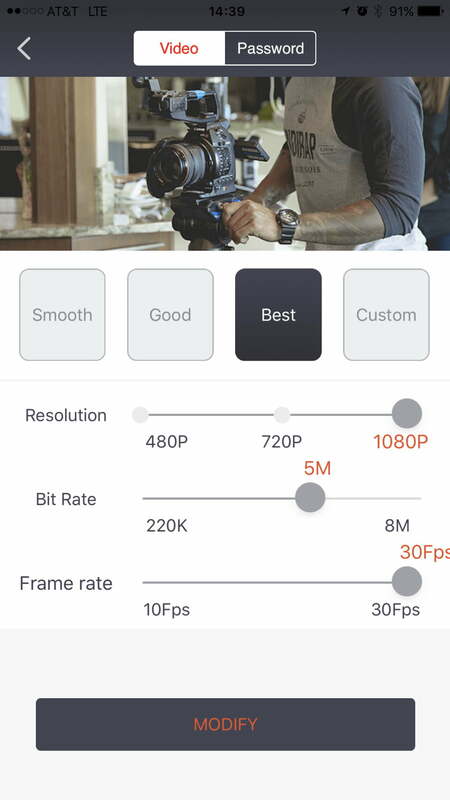 The app gives you manual control over a number of settings that will further determine the quality of your stream. You can set resolution (up to 1080p), frame rate (up to 30p), and even bitrate (up to eight megabits per second). You can also record videos and save snapshots straight to your phone. Even in its early state, we found a lot to like about the Freecast. It’s also reassuring that the company was able to send functioning hardware and software to the press before the Kickstarter campaign had even been funded, so hopefully backers can rest easier knowing that real products are being produced. Certainly some risks and challenges remain, but the company seems on track to begin delivering final units by October. Even when everything works as advertised, the Freecast will still leave room for improvement. 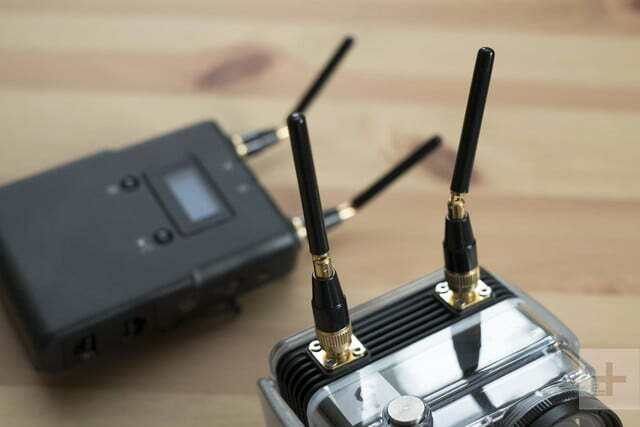 We’d love to see a solution for streaming over Wi-Fi, and battery life for both the transmitter and receiver wasn’t fantastic – we struggled to get an hour out of the transmitter, although the AA-powered receiver fared better. At least in its current state, the low-battery warnings don’t come on soon enough, and while the devices may still power on, a lack of sufficient juice can lead to numerous issues. In fact, almost any issue we encountered – from a “blue screen of death” to Wi-Fi connection troubles – was solved by swapping in fresh batteries. Fortunately, both the receiver and transmitter can be powered over USB, so if you’re in a position where you don’t need to be fully wireless, you can just plug them into the wall or a USB battery brick. Then, there’s the limitation of the hardware design itself, which really isn’t Freecast’s fault. Both the Professional and $300 Standard models work only with the GoPro Hero3 and Hero4, as GoPro changed the design of the Hero5 and the placement of the HDMI port. While the Universal version will work with the Hero5 Black, it doesn’t feature the same GoPro-ready design and case as the Standard and Professional models. Perhaps Freecast will make a Hero5 version of those models in the future, and while there’s certainly a large installed base of Hero3 and Hero4 users now, anyone considering upgrading to the Hero5 tomorrow may not want to buy a transmitter today that won’t work with it. 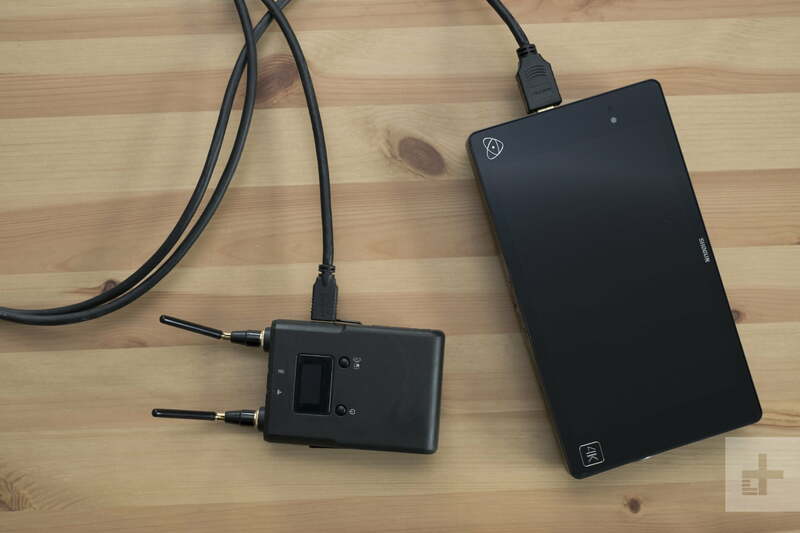 The Freecast has the potential to remove a lot of roadblocks to affordable, professional-level live-streaming and wireless monitoring for the average content creator. While we’re excited about the company’s current product plans, we’re even more hopeful that additional features and refinements will come down the road. It may not be perfect, but it is definitely promising.